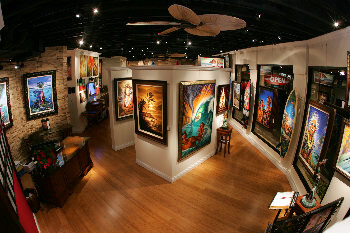 When in Southern California, McKibben Studios is a must see in Laguna Beach, truly a sight and sound experience conveying a serine ambiance with Abstract, Dramatic, Surreal, Romantic, Figurative and Whimsical ART as well as having a knowledgeable staff to assist you. Come to the Gallery to have a glass of wine and relax. McKibben Studios is passionate about presenting their foremost Artists, Sculptors and Photographers that exemplify each artists Lifestyle through their ART, sense of imagination and creativity. 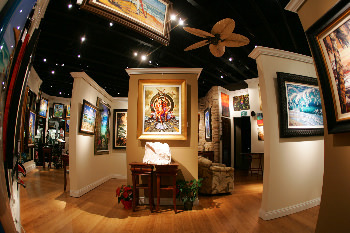 McKibben Studios is not only an incredible Gallery showroom venue but a very respected Publisher of selected Elite Artists body of work on various medias. 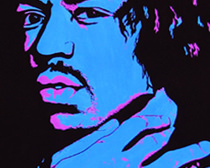 When Artist Steve McKibben sold his first commissioned piece of Jimi Hendrix he soon realized shortly thereafter that designing and creating a great piece of art is only the first in many steps that need to happen in order to present his art into Galleries and market place. 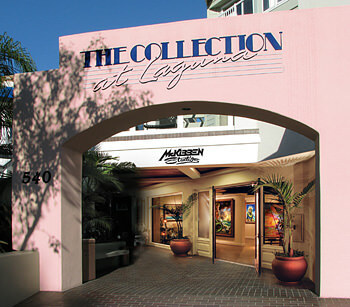 McKibben Studios is committed to Publishing the highest quality standards possible assuring 99% accuracy of the original body of work of its Fine ART Editions to their Galleries, Collectors and Clients using the Giclee Imaging process with the highest quality archival inks, canvas and papers.